What if your hand truck could climb a flight of stairs? Would it be a great addition to your work environment? If yes, then the Wesco Stairking can! In fact, it can also climb down the stairs. The new Wesco Stairking hand truck battery powered appliance truck comes in two heights: 66 inches and 72 inches. It has a maximum capacity of 850 pounds and it is available with a variety of accessories. You can also get the aluminum WLF winch lift attachment turns the Stairking into a fork truck for additional load capacity. The Stairking’s high-torque 50-amp motor coupled with the direct-drive, industrial-grade gearbox provides the necessary lifting power to tackle even the toughest jobs. The user just balances the load and the Stairking does the heavy work. 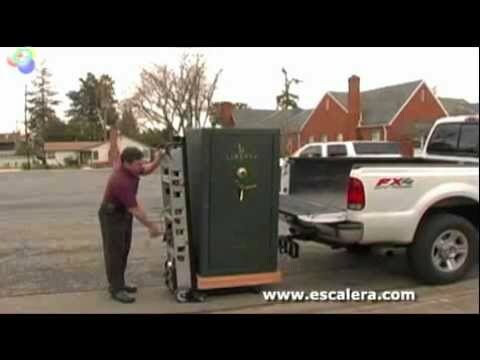 It is perfect for moving appliances, vending machines, boilers, wood stoves, and pallets. The stairking is also great for going downstairs. Its constant and smooth rate of descent gives the operator control while moving heavy loads downstairs. The stairking is also ideal when the dock and the truck bed do not line up. It can also climb over curves, over cracks, and over thresholds. It’s equally at home on a variety of other surfaces such as carpeting, vinyl flooring, and even on slippery surfaces such as Teflon. To use the Stairking, the operator simply clips the belt together, secures the load snugly against the Stairking, tilts the load back, and presses the switch to up direction. 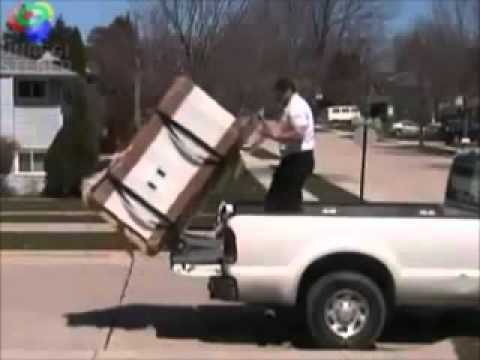 The operator only needs to balance the load and all the heavy lifting is done by the stair climber. For more safety instructions, you can watch the video presentation provided above. If you are delivering heavy loads on a regular basis, the Wesco Stairking is a powerful tool that will increase your productivity. It is perfect for professional delivery services, HVAC guys, and moving businesses. Get your Stairking by ordering through the Buy Button now!